We are pleased to host an unprecedented collection of Dan Gurney’s historic race cars and artifacts from his four decades as a racer, manufacturer, and team manager. 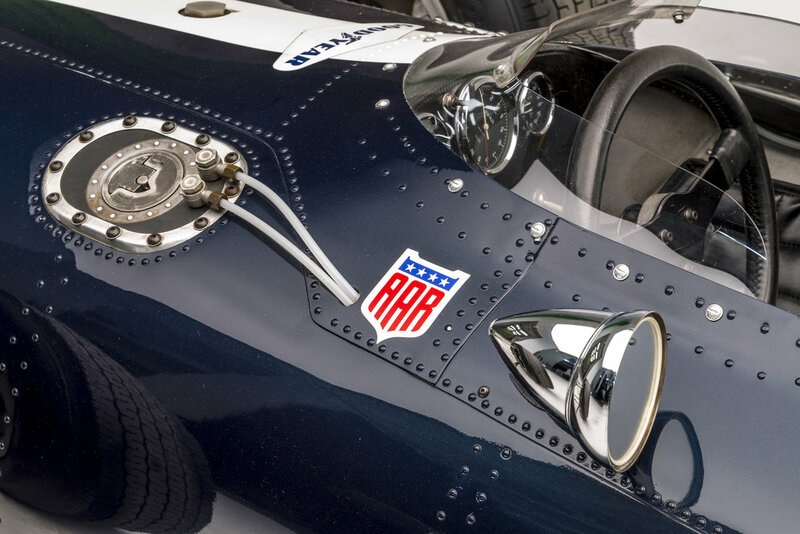 The exhibit is entitled “The Eagles Have Landed: Dan Gurney’s All American Racers.” The exhibition celebrates the career of one of America’s greatest drivers with a collection of 12 cars that were built to compete in the most grueling races in motorsports. All cars were raced and/or designed by Gurney and his team. Most notable is the 1967 Gurney Eagle Westlake that won at the Belgian Grand Prix at Spa, but several other cars earned podium places in international races. Dan Gurney built an incredible career as a driver and a constructor with countless wins in both open wheel and sports car series. After a catastrophic accident, Dan developed a distrust for engineers and became intimately involved in the design of all his cars. He is a technical innovator, with inventions such as the Gurney Flap aerodynamic aid that was immediately adopted throughout racing. In his spare time, Gurney designed a motorcycle with an extremely low riding position called “The Alligator”. Only 35 were ever produced and the Petersen has one at the center of the exhibit. Dan Gurney’s contributions to motor racing are so large as to be almost indescribable. As a testimony to his contributions to mainstream culture, we have the double magnum Moet Champagne bottle that Dan sprayed from the podium after winning the ‘67 edition of Le Mans. One would think that this would be a tradition as old as sport, but Dan Gurney was the first person in recorded history to celebrate in this manner, which has been imitated by champions in every sport. The exhibit will run until January 2018 and is a fantastic opportunity to expose a new audience to Gurney’s incredible legacy and contributions to racing.